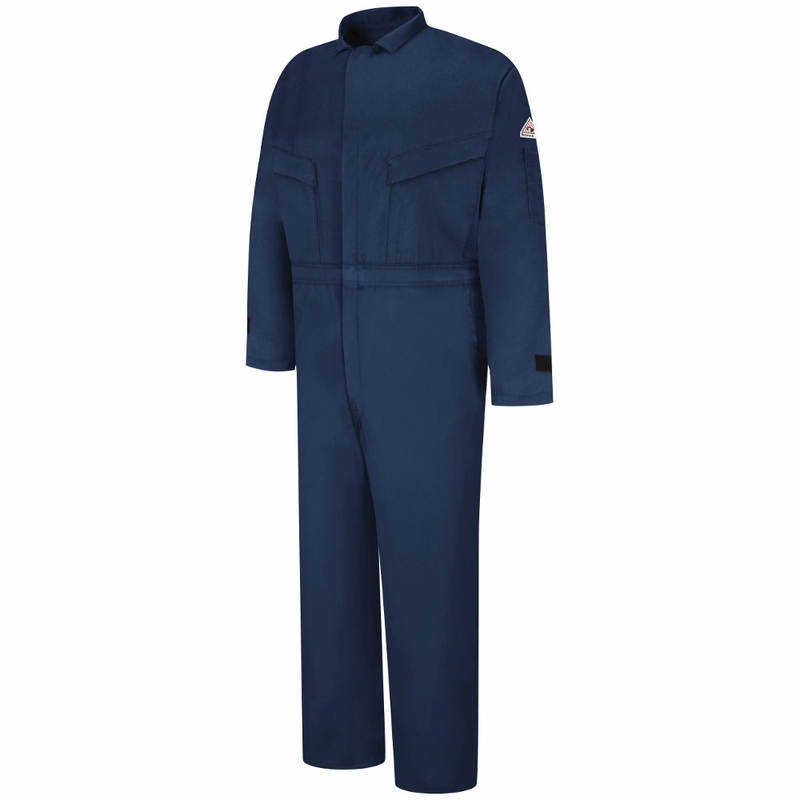 EXCEL FR® ComforTouch® Deluxe Coverall with leg zippers and hook-n-loop suppression tabs. Fabric: 6 oz. (205 g/m2) 88%Cotton/12%Nylon. 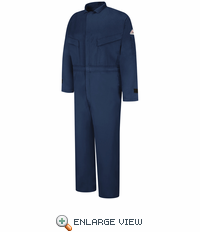 Features: One-piece, topstitched, lay-flat collar. 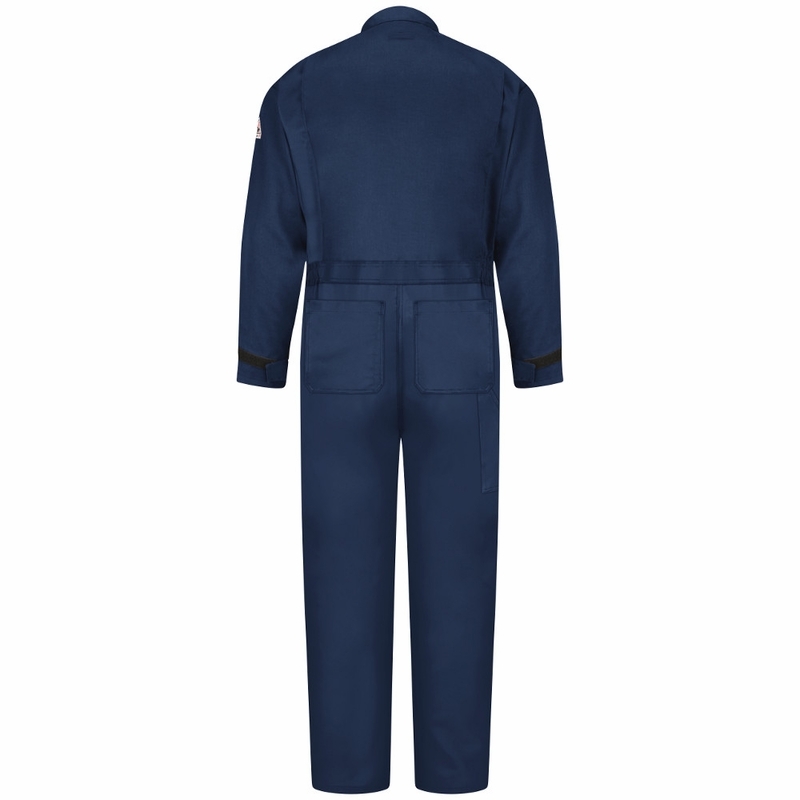 Two-way concealed Nomex® taped brass breakaway zipper, concealed snap at top of zipper at neck. 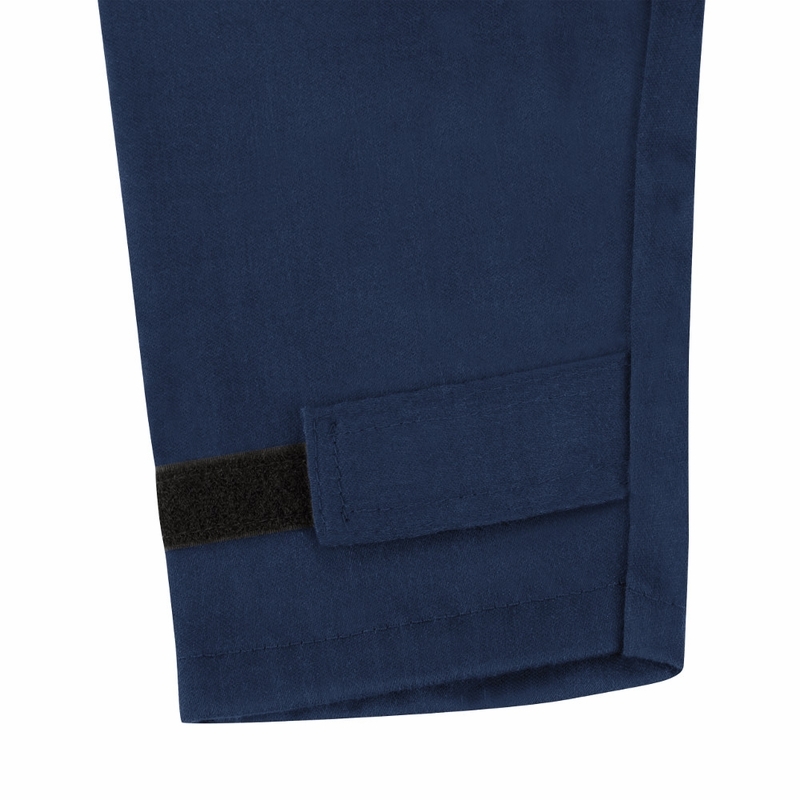 Two angled chest pockets with concealed zip closure. Two inset lower front pockets are topstitched and lined. 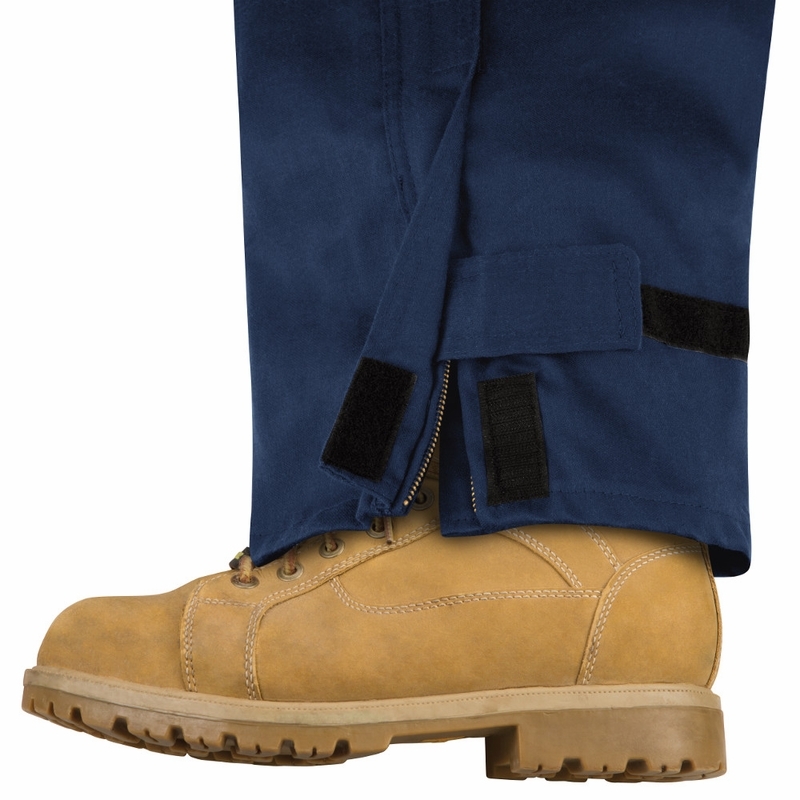 Two patch hip pockets have single concealed snap closures. One sleeve pocket sewn to left bicep with pencil stall. One piece rule pocket on right leg. Elastic waist inserts in back. 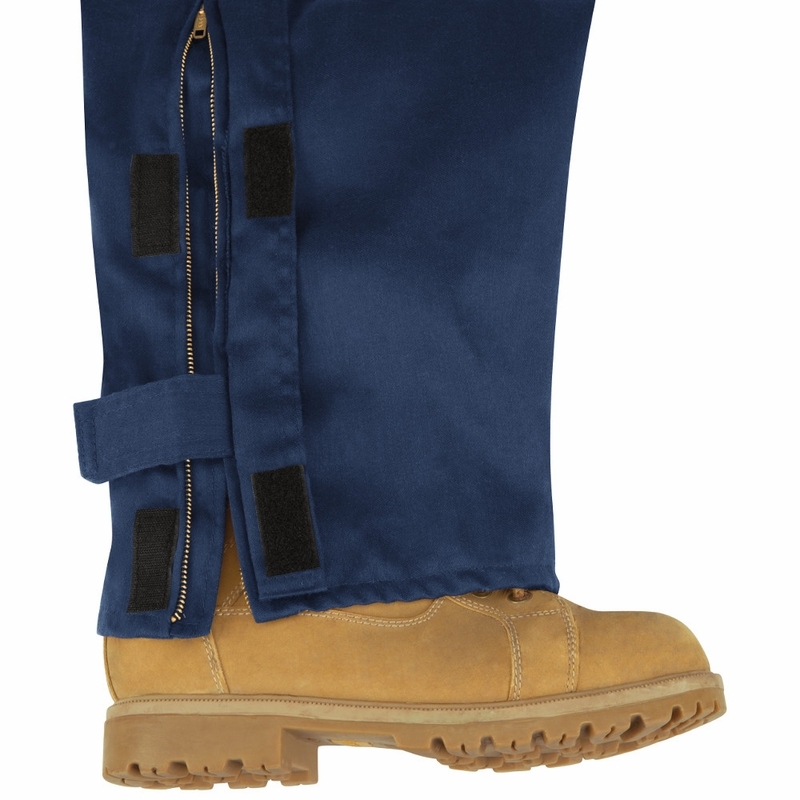 18” leg zippers with concealed hookn-loop flaps to conceal zipper from interior and exterior. Hook-n-loop suppression tabs on sleeve and leg hems.